At Lone Star Automotive, we are happy to give you the highest quality diesel engine repair and maintenance in Midland. We know you love your diesel and love its power and durability. The thorough and consistent maintenance of your diesel engine is the key to your vehicle’s extended road-life. We keep you on the road enjoying your diesel engine’s optimal performance. With our team’s experience and training, we know just how to handle any of your diesel repairs and maintenance. Trust the experts at Lone Star Automotive in Midland, TX with all of your diesel engine services. No matter what model you have, bring it to us and let our expert ASE Certified Blue Seal diesel engine technicians take a look at it. Our trained eyes and ears can recognize any current or potential problems, and we use quality parts and superior services to keep you on the road. We’re ready to help you improve your truck’s lifespan and stay on the road! Our diesel technicians are ASE Certified and factory trained to handle any diesel repair services that may arise. As your diesel repair specialists, we provide the area’s best diesel engine services. We find and employ the most talented technicians available, which ensures your vehicle always receives top quality service. 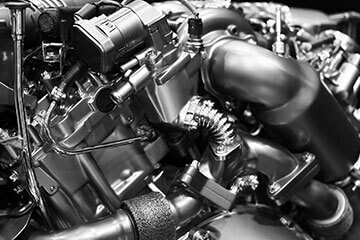 Lone Star Automotive’s technicians possess a diverse skill set, and are qualified to work on most types of diesel systems, including Powerstroke, Duramax, and more. We can handle your routine oil changes or regularly scheduled maintenance, as well as a major diesel engine repair. Lone Star Automotive is a dream team, keeping the best technicians on staff to make sure your vehicle’s service or repairs are always completed quickly and accurately.